The Doctors: What Is Biliary Atresia? The Doctors talked to a woman whose newborn baby suffered from Biliary Atresia, a condition that causes liver failure and even death. She reached out to find a donor and she found one. For their special color episode, The Doctors talked to a woman named Michelle about her son, Joshua, who had yellow-looking skin soon after he was born. Doctors thought it was jaundice and that it would go away soon. But the yellow color spread and became more intense after a few weeks. Michelle brought her son to the emergency room, where doctors diagnosed him with biliary atresia. Biliary atresia is a disorder in the liver drainage system that occurs after the bile duct that is responsible for flushing away waste products from the liver to the intestines isn’t formed in a baby’s body. This means there’s no place for the byproducts to go, creating a backup and enlarging the liver. Eventually, this leads to liver failure, which can cause death. 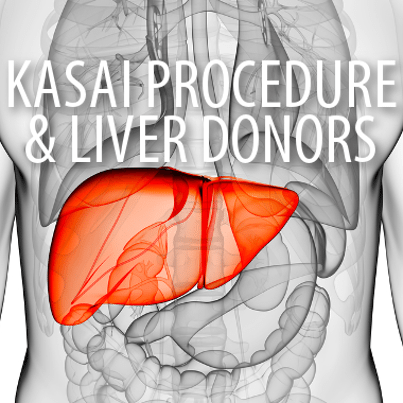 Ultimately, doctors performed a Kasai procedure on Joshua to surgically bypass the blocked liver duct. This surgery would have prevented further liver damage and delayed the need for a procedure. However, the procedure failed. The doctors said Joshua had two weeks to a month to live. “It’s scary, because everyone, with their first child, they’re excited. They don’t think something like this could happen,” Michelle said of the event. Michelle reached out to friends and family on Facebook, trying to find a liver donor. 30 different people tried to find out if they were a match. Everyone was rejected. Michelle was terrified and nothing seemed to be working. A friend of hers on Facebook, Trinity, saw her post and she said she was his blood type. She had a daughter of her own and she said if her daughter was sick like him, she would do everything she could. The team accepted Michelle as a perfect match. Joshua is fine now. It’s a year after the surgery and he’s a happy, healthy baby. Dr. Rachael said when she heard this story, she assumed Trinity and Michelle were best friends. But it wasn’t like that. Trinity said that she had a little girl just a month older than Joshua and she was experiencing the mommy milestones that Michelle wasn’t able to experience. “I wanted her to be experience the same mommyhood I was going to be able to go through,” Trinity said. She also said she would do it again and she encourages everyone to do it. The Doctors gave a bunch of toys to Joshua, including a cool race car he could fit inside and travel around in. They also gave a vacation trip to Trinity to a spa in California for two because of her great gift to Joshua. Filed Under: The Doctors: Kids Tagged With: The Doctors Biliary Atresia, The Doctors Color Show, The Doctors jaundice, The Doctors Kasai Procedure, The Doctors Liver Disease, The Doctors Liver Donation, The Doctors Liver Failure, The Doctors Yellow Skin, What Is A Kasai Procedure?, What Is Biliary Atresia?